H&H Homes – Landing Page Optimization | ASTRALCOM - Content Strategy, Conversion Marketing and Customer Acquisition. 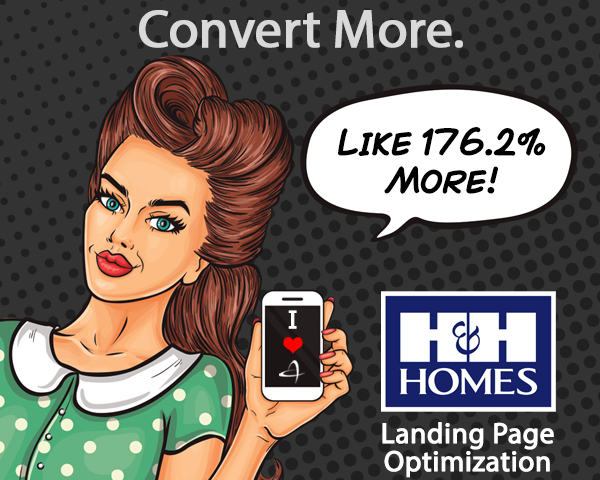 H&H Homes – Landing Page Optimization | ASTRALCOM – Content Strategy, Conversion Marketing and Customer Acquisition. If you’re a homebuilder, it’s likely that your conversion rate is around 1%. Somehow, that’s acceptable among builders. The reality is that most builders could be converting twice as many of their website visitors into homebuyer leads, just by making some simple tweaks to their landing pages. In a nutshell, the small changes we made more than doubled their conversion rates and decreased their bounce rate by more than 1/3rd. Get the results you’ve been seeking. Contact us and we’ll convert more of your traffic to leads.